>Nepal’s Chitwan National Park, a UNESCO World Heritage Site, is home to the world’s second largest population of greater one-horned rhinos, as well as nearly 100 Bengal tigers and more than 54 other mammal species. After a 2016 mission, UNESCO warned that Chitwan could be placed on the World Heritage in Danger list if a number of planned infrastructure projects were completed as proposed. >Since then, the largest projects have been suspended or rerouted; now, conservationists say they are more concerned by the impacts of unplanned urbanisation and local flood-control projects. >Local officials often struggle to balance protecting Chitwan’s ecosystem against the popular demand for infrastructure development projects. KUMROJ, Nepal — In March 2016, a team of experts from the International Union for Conservation of Nature (IUCN) arrived in Nepal’s Chitwan National Park. Dispatched at the request of the UNESCO World Heritage Committee, the mission was charged with investigating a series of transportation infrastructure projects planned for the area. Home to some 600 greater one-horned rhinos (Rhinoceros unicornis) — the world’s second-largest population of the species — as well as more than 93 Bengal tigers (Panthera tigris tigris), 54 other mammal species and more than 550 varieties of birds, Chitwan’s extraordinary biodiversity led to its inscription as a World Heritage Site in 1984. What the IUCN team found alarmed them. If all of the planned projects were completed, the park would have been fragmented into eight to 10 parts, with potentially dire effects on its ecosystem. “The mission notes with significant concern that the proposed East-West Electric Railway, the Terai-Hulaki Highway, and other proposed road developments could have significant direct, indirect, and/or cumulative impacts on the OUV [outstanding universal value] of the property,” the team wrote. 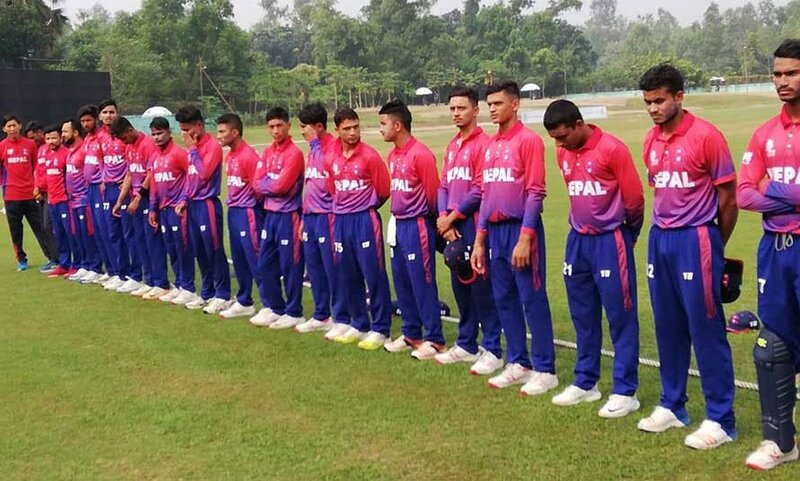 In other words, these plans could put Chitwan on the List of World Heritage in Danger, putting a black mark against the park’s name for both conservationists and tourists. At its 2017 meeting, UNESCO formally warned Nepal that moving forward with any of the road and rail projects highlighted by the UNESCO team would land Chitwan on this list. The warning, along with opposition from local conservationists, seems to have had an effect in this region, where the economy is highly dependent on tourists coming to enjoy the park and its wildlife. “The Department of Railways has announced a change in the alignment of the East-west railway to bypass the national park,” says the department’s spokesperson, Aman Chitrakar. Likewise, Shyam Kharel, who was until recently the head of the Terai-Hulaki Highway project, said that while the road’s exact route was yet to be determined, it was “beyond his imagination” that the new east-west highway would go through the national park. Nearly three years after the mission’s visit to Nepal, conservationists say the big state-led projects that alarmed the IUCN experts are no longer a major concern. Now, local experts say they are most worried about smaller-scale developments that were considered minor back in 2016, but have since become serious problems. In a region hit hard by floods, building dikes is a popular demand, putting pressure on officials responsible for land-use and river management. During the 2017 monsoons, Chitwan National Park frequently made headlines due to inundations by the swollen Rapti River. According to unofficial estimates, hotels and lodges in the area incurred losses to the tune of $10 million. Wild animals, including the iconic rhinos, also suffered. Around 15 rhinos from the park were swept away to India, one of which died. One area, however, was spared: People living near Kumroj Community Forest on the northeast side of Chitwan were protected from the floods by 4-meter (13-feet) -high dikes, which line a 1.3-kilometer (0.8-mile) span of the Rapti. The project was inspired by a similar structure just upriver, which was completed in 2003 with funding from the Asian Development Bank and the government’s Irrigation Sector Project. In 2016, Kumroj community leaders secured Swiss government funding to extend the dike into their area. While such flood-control measures provide peace of mind for people on Chitwan’s fringes, they have become a worry for conservationists. 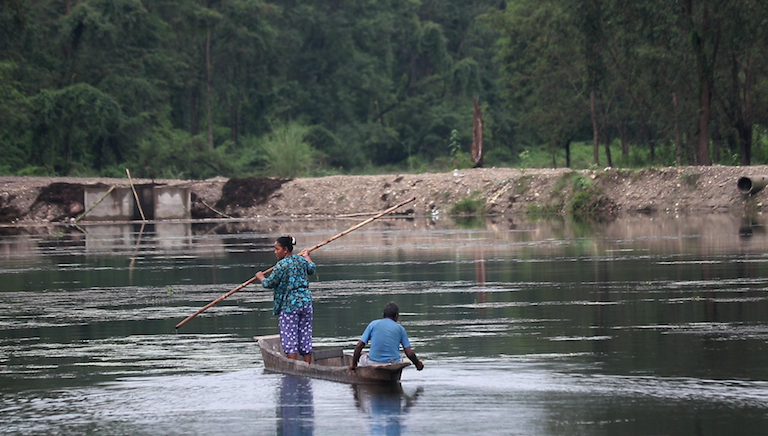 The Rapti River is as essential lifeline for the ecosystem of Chitwan National Park. But floods can be costly, and even deadly, for human settlements nearby. The IUCN mission noted problems with the dike during its 2016 visit, reporting that it already appeared to be changing normal flood patterns, causing changes in grassland and wetland habitat and pushing rhinos out of their traditional habitats. Population data presented by Chitwan National Park authorities showed that rhinos were already shifting out of the park’s northeast and into the western sector. “The river is vital for the rhinos in Chitwan,” says Narendra Man Babu Pradhan, former warden of Chitwan National Park. Dikes may make the locals feel safe in the short term, but they can have a devastating effect on wildlife, he says. 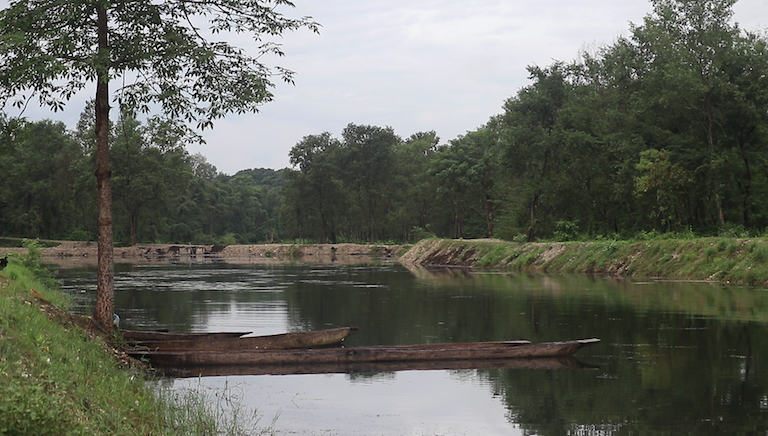 “The flooding of the plains along the Rapti is vital for the rhinos.” The regular flooding of riverbanks keeps the land fertile, supporting the grasses that rhinos and other animals depend on. With the apparent success of the dikes in the eastern sector, local people from other areas near the park are now demanding that similar structures be built to protect them from the floods. If more of the river is penned in, it will have far-reaching consequences for the rhino population in Chitwan, says Pradhan. But it is difficult for authorities to find the right balance when conservation policies and the needs of local people come into conflict. Mohan Shakya, the head of the Narayani River Management Project, the government body responsible for preventing floods in the river, says his office “would have to consider building dikes on the Rapti, if local mayors and village chiefs recommend doing so.” Shakya’s office is vulnerable to public pressure in an area where floods regularly cause a lot of damage and building dikes is a populist move that helps local politicians win favor with the electorate. About 3,500 greater one-horned rhinos can be found today in northeastern India and Nepal’s Terai grasslands. Chitwan hosts the second largest population, after India’s Kaziranga National Park, which has about 2,400 rhinos. While Pradhan says he is alarmed by the building of dikes along the Rapti River, mammologist Shant Raj Jnawali says he is concerned by the rapid development of unplanned settlements upriver from the park. A recent study on land use and cover in the Gandak River Basin, of which Chitwan is a part, says the built-up area has increased significantly in the lower parts of the basin, indicating “rapid urbanization.” Another study on population and land use in the Terai, the southern plains of Nepal that include Chitwan, found that while the amount of forest in the area was relatively unchanged between 1989 and 2016, urban areas increased by around 700 square kilometers (200 square miles) at the expense of cultivated land — a shift in land use that contributes to erosion and siltation. Pradhan says that in the case of dikes, the local people, who are heavily reliant on tourism, should be made aware of the consequences of the development of infrastructure along the river. 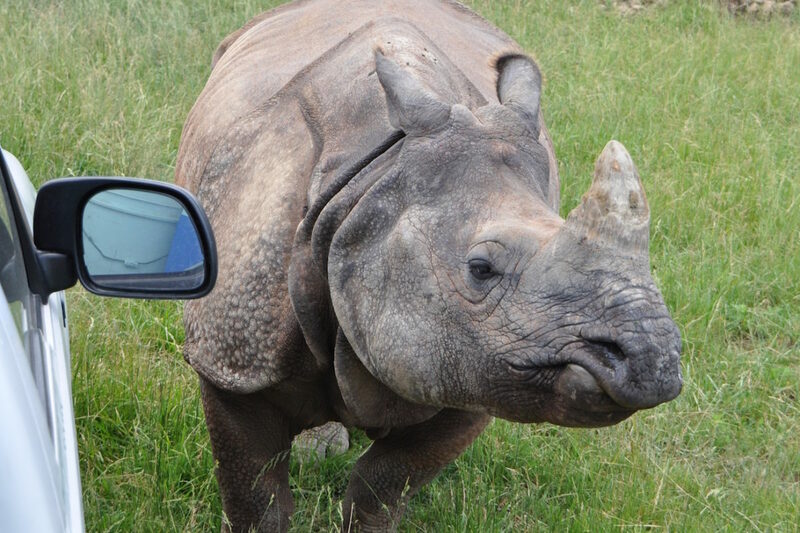 He says that when people understand that their actions will affect the rhino population, the main tourist attraction in the area, they will look at things differently. While the needs of the park and the desires of local people can sometimes appear to conflict, he says the park’s contribution to the economy means that what’s good for wildlife is ultimately good for people too. 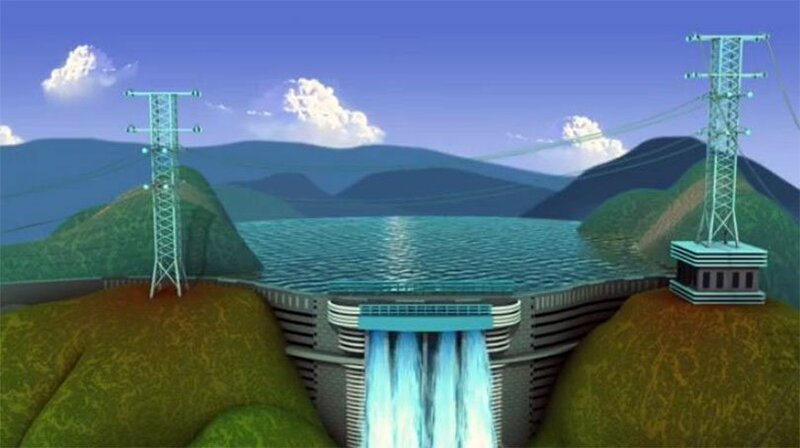 The same public pressure that forced authorities to build dikes on the river could be used to prevent the building of more dikes in the area. The people of Kumroj have already seen that although the flood spared their settlement, the number of rhinos living near them has declined. Such a decline could have an impact on the number of tourists coming to the area. Jnawali says it is now time for the government to enforce appropriate land-use policies to manage settlements and take action, even if such moves are unpopular with locals. The government needs to enforce zoning regulations so that the river is conserved and settlements are built in a sustainable way, he says. 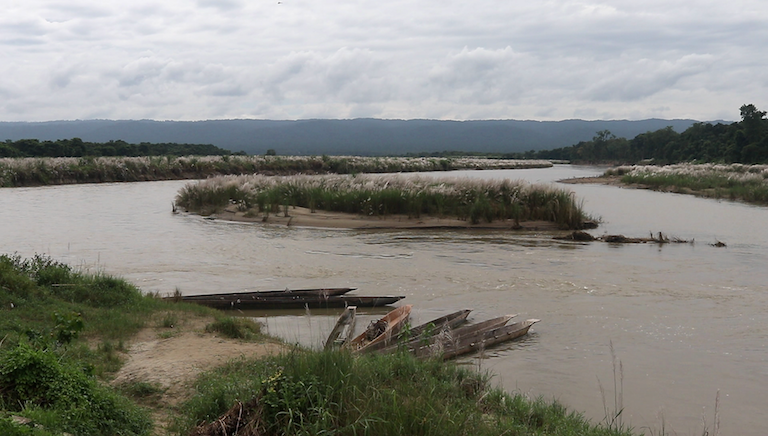 Dikes on the Rapti have helped control floods on the northeastern sector of Chitwan National Park, but conservationists fear these structures will disrupt the park’s ecosystem. 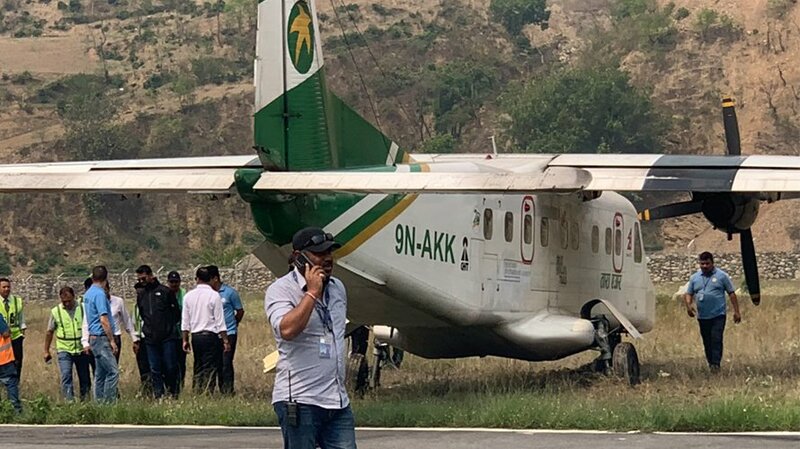 Man Bahadur Khadka, director general of the Department of National Parks and Wildlife Conservation, says his office was charged with preparing a report to update the World Heritage Committee on the situation in Chitwan. The report, formally requested by UNESCO in July 2017, was due on Dec. 1, 2018, but has not been released publicly. According to Khadka, the “confidential” report calls on UNESCO to allow Nepal to build and upgrade roads that local communities need, but not at the cost of the park’s “outstanding universal values,” the parameters by which UNESCO determines what makes a World Heritage Site special. 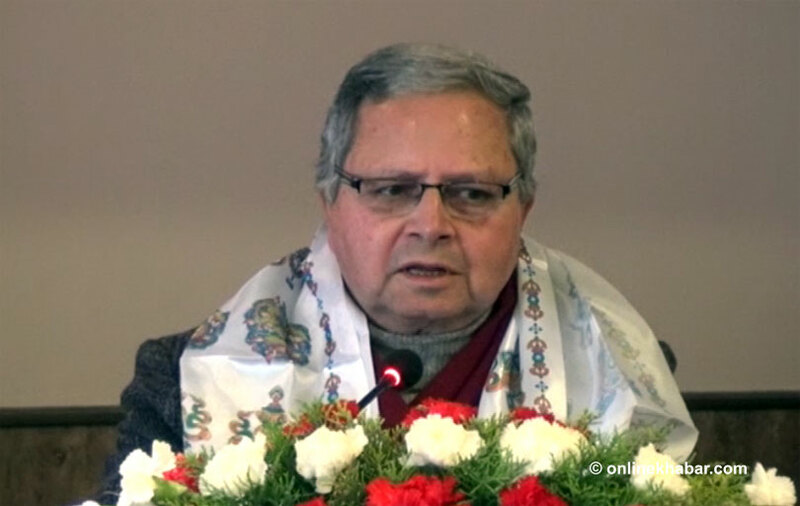 He says the government has asked UNESCO to understand the local people’s transportation needs, and asked that a new mission visit Chitwan to take stock of the situation and help formulate a plan.